Bookings: Max@earth-agency.com Please send all music to: audio@djqmusic.com Order the All Night USB / CD / T-Shirt: http://djqmusic.com Born and raised in Huddersfield, DJ Q is a prolific artist who’s become as much known for his relentless work rate as much as he is for his six year stint as a DJ on BBC Radio 1xtra. His 2007 bassline smash hit ‘U Wot’ might have brought his speedy, characteristic sound a bit of notoriety, but it’s his tireless schedule that’s kept him secure in the minds of the record buying public. With over one hundred separate remixes under his belt as well as a solo album, Ineffable, released on Local Action in 2014 and the collaborative t q d album, UKG, released just last year, Q’s enthusiasm shows no sign of waning. It’s in the live arena though, that DJ Q’s technical ability really shines through. 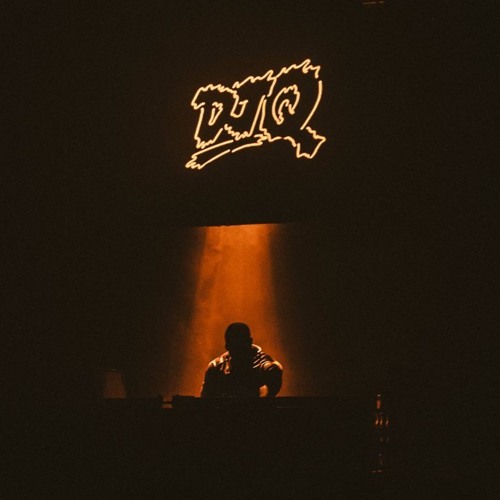 As one third of t q d he toured the UK club and festival scene relentlessly for two years culminating in a headline concert show at Electric Brixton after several slots at prominent European festivals. His current live project is an ‘All Night’ show (which he recently toured for 9 days straight, totaling more than 50 hours playing time) during which he digs deep into his archives, spinning a meld of house, garage, bassline, jungle and more. It’s the best way to witness Q’s passion for the music he plays and experience his wide ranging technical ability.